If you have not yet created a new web, and you are reading this on our example web, please review the information on installing and creating a web. Here is our menu of activities and frequently asked questions. Please visit the support page for further information about customizing your theme. For information and tutorials on using Microsoft FrontPage 2000/2002, please visit our web site for a detailed list of help topics. Your theme contains many additional graphics. Many of your pages already contain theses elements, to remove them, simply click on them, and press the delete key on your keyboard. Right-click the table, and then click Table Properties on the shortcut menu. Under Background, select the Use background picture check box, and then click Browse. Choose the name from the list of images below, Then click Open. this image will now be used as the background image for the top cell, so you can add text over top of it. You set the font size for the table so it will display correctly in all browsers and text sizes. index.htm this is the first page your visitors will see when they enter your web site. home.htm This is the starting point for your web site, all pages will be linked to your home page. about_us.htm This is a generic page detailing your company or business. contact.htm This is where you contact information will go. feedback.htm This is a form page for gathering information and feedback from your visitors. search.htm This is a form page used to search your local web site. services.htm This is a generic page detailing the services your provide. site_map.htm This is your table of contents, listing all the pages in your web. support.htm This is a generic support page, listing information about your support methods and services. catalog.htm this is the starting place for your catalog, displays the categories for your products. categories1.htm / categories2.htm this page displays the items for each category. policies.htm this is a generic policies page which you can modify with your company information. privacy.htm this is a generic privacy page, which you can modify with your company information. shipping.htm this is a shipping information page for your customers. product_detail.htm this is a blank product detail page. it1.htm / it16.htm these are blank pages you can use to start building your shopping cart. it1_zoom.htm / it16_zoom.htm these are the zoom image template pages, used in your shopping cart zoom image feature. add_items.htm this is the pop-up page used in the cart help index . adding_additional_pages.htm this is chapter of thecart manual. cart_help.htm this is the cart help index page used for the Cart Help pop-up window. 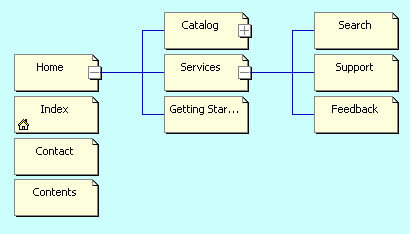 cart_setup.htm this is a chapter of the cart manual. how_it_works.htm this is a chapter of the cart manual. 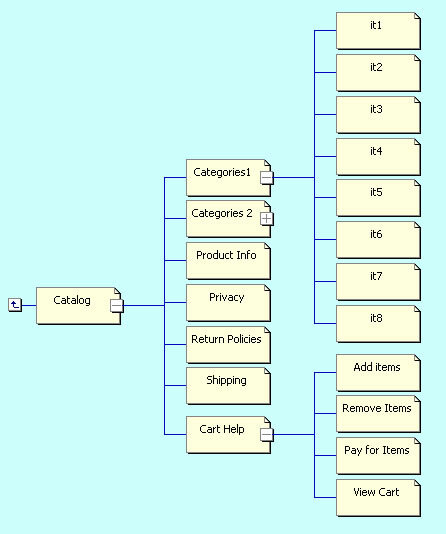 KIS-Cart_PayPal_template_manual.htm this is the manual for setting up your shopping cart. pay_for_items.htm this is a pop-up page used in the cart help index . paypal_setup.htm this is a chapter of the cart manual. remove_items.htm this is a pop-up page used in the cart help index . setup_preparations.htm this is a chapter of the cart manual. view_cart.htm this is a pop-up page used in the cart help index . This is the basic structure of your web site. The first page your visitors will see is the index page, which is also your Flash intro page. All other pages are "Top Level" pages, or connected to your home page. This is the navigational structure of your shopping cart. All of these pages can be found in the "cart" folder of your web site, and they are connected to the catalog page in that folder. On the File menu, point to New, and then click Page or Web. In the New Page or Web task pane, under New from Template, click Page Templates. Click the tab for the template you want to use, and then click the template. A thumbnail of that template is displayed under Preview. Microsoft FrontPage opens a new page based on the template. To copy an existing page, and create a new page. In the highlighted box, change the name to the name you want for your new page, or select a current page to overwrite it. Installing your FrontPage Theme and template. If you have already created a new web site, skip to our more advanced tutorials at the bottom of the page. If you are viewing this information from our example web site, then this is a great place to start if it has been a while since you have create a web using FrontPage, or if you have never created a web before. theme is the term used to describe the overall color scheme, fonts, menu graphics, bullets, and tables of your web site. It's also a great way to give your package a nice name. template is the term used to describe the structure of your web site, ( how many and what type of pages), most FrontPage Themes have a web page template packaged with it. You can easily duplicate a page in your web, complete with all the graphics and navigation, exactly like the home page. all of our themes are packaged in a self executable file. By double clicking on the file, it will install all the necessary files, into the correct locations. Once the theme has been downloaded, double click on the file to start the installation process. You will not be asked which directories to place the files, all the files will be added to the appropriate Microsoft shared folders, and system directories. Your theme will be installed to more than one directory, to be shared by the MS Office family of programs. Your theme package is small enough to fit onto a blank 1.44mb Floppy disk, please back up this file. your theme is now successfully installed into your system. The installer program is set-up to recognize your operating system, so the files will be installed correctly. now you will need to create a new web to see your theme in action. In the New Page or Web task pane, under New from template, click Web Site Templates. remember the location of this installation, the next time you start FrontPage, you may be required to located this web on your hard drive if you haven't set "open last web automatically" in your FrontPage options. Note To create a subweb, append the name of the subweb to the name of the root web. For example: http://adventure-works.com/subweb. If you want to add the site to the current web site, select Add to current Web. Your new web site will start to generate. This may take up to a minute depending on your PC setup, fragmentation of your hard drive, and the file size of the web template. Once you've installed your theme, you may wish to preview the help topics. Add you own text or images to the message box. The properties are already set for this table, so you can easily copy this box to add more to you page, or add it to another page. The text size for this table is set to 8pt, which is the smallest font size that can be used. The message box table is set to 150 pixels wide. It will stretch as far as needed.